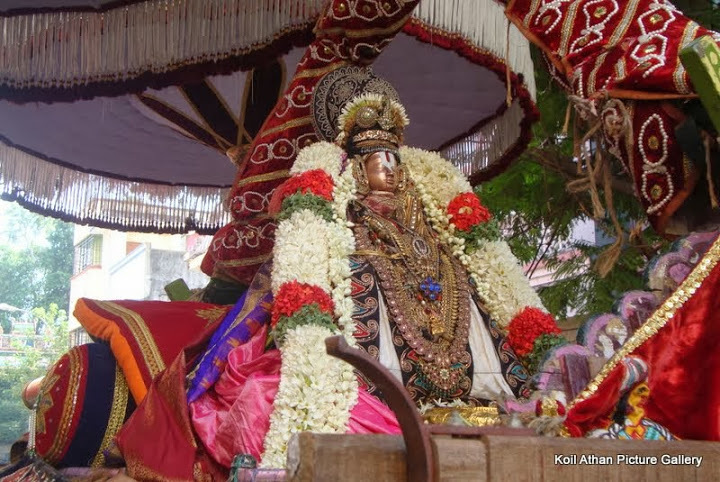 kEsava perumAL visits thiruvallikkENi srI vAnamAmamalai mutt for vanabhOjanam (relaxation at forest) uthsavam. pArthasArathy perumAL enjoys puRappAdu with pEyAzhwAr in the mylApUr during his sojourn towards IkkAduthAngal. Many uthsavams are celebrated in a grand manner. The well from which AzhwAr appeared is maintained till date. How to reach: Easy access by metro, bus, auto, taxi, etc – right in the middle of the chennai city.